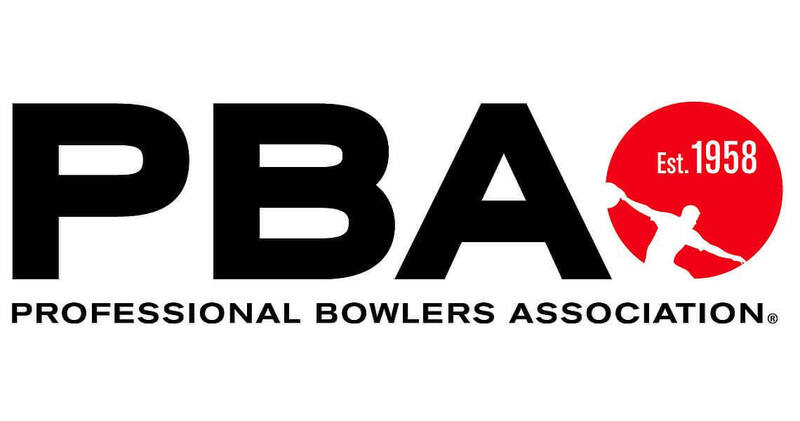 The PBA was established in 1958 when 33 founding members banded together to form the Professional Bowlers Association. Today, the PBA remains the acknowledged major league of bowling throughout the world. In March 2000, a trio of high-tech entrepreneurs (and former Microsoft executives) purchased the league in hopes of making it the next global emerging sport and creating additional opportunities for its members and professional bowling’s millions of fans around the world. Official Web site: PBA. The PBA Tour Finals Point List will be used to select the 8 players for the 2019 PBA Tour Finals. Professional Bowlers Association Tour 2019 schedule and champions. ARLINGTON, Texas – Bill O’Neill of Langhorne, Pa., defeated top qualifier Jakob Butturff of Tempe, Ariz., 199-194, to win the Professional Bowlers Association Hall of Fame Classic title at the International Training and Research Center Sunday and in the process became title-eligible for election to the PBA Hall of Fame in the future. The finals aired live on FOX Sports’ FS1 channel in the 2019 Go Bowling! PBA Tour’s debut event in its new multi-year television agreement with FOX. O’Neill, after throwing 17 strikes on 22 attempt in eliminating Sweden’s Jesper Svensson, 258-219, and Australia’s Jason Belmonte, 268-188, struggled through his first four frames of the title match before throwing four strikes in a row to take the lead against Butturff, who missed two spare attempts. Butturff’s failure to convert the 4-7 in the ninth frame proved to be the difference. “It might have appeared on TV that I got super nervous (early in the title match), but actually I was really calm,” O’Neill said. “I just made a bad shot and got a little out of rhythm, so in the third frame we talked about trying another ball. I wanted to try one more hand position change, and I made what I thought was a pretty good shot, but I left the 7-10, so I switched balls and I was good to go. With his 10th title, O’Neill will be eligible for the 2025 PBA Hall of Fame ballot, his 20th year of PBA membership. But reaching the title-eligible part of the criteria was the key step. In the opening match, Svensson defeated Rhino Page of Orlando , Fla., 201-198. The Go Bowling! PBA Tour’s next events will be the PBA Oklahoma Open and Mark Roth-Marshall Holman PBA Doubles Championship at FireLake Bowling Center in Shawnee, Okla. Qualifying will run concurrently for both events, beginning Tuesday. FloBowling will live-stream all qualifying rounds. The finals of the Oklahoma Open will air live on FS1 on Sunday, Jan. 13, at 11 a.m. EST. The Roth-Holman Doubles finals will air on FS1 the following Sunday, Jan. 20, at 1 p.m. EST. 1, Bill O’Neill, Langhorne, Pa., $25,000. 2, Jakob Butturff, Tempe, Ariz., $13,000. 3, Jason Belmonte, Australia, $8,000. 4, Jesper Svensson, Sweden, $7,000. 5, Rhino Page, Orlando, $6,000. Match One: Svensson def. Page, 201-198. Match Two: O’Neill def. Svensson, 258-219. Semifinal Match: O’Neill def. Belmonte, 268-188. Championship: O’Neill def. Butturff, 199-194. SHAWNEE, Okla. – Jakob Butturff of Tempe, Ariz., finally closed the deal by winning the PBA Oklahoma Open as the stepladder finals top qualifier to capture his fifth career tour title Sunday at the FireLake Bowling Center. After losing last week’s 2019 season-opening PBA Hall of Fame Classic and the 2018 season-ending U.S. Open title match as top qualifier, the 24-year-old left-hander finally broke the slump by defeating Sweden’s Jesper Svensson, 267-201, in the title match of the second stop of the 2019 Go Bowling! PBA Tour season televised live by FS1. In the title match it looked like missing easy spares might again prove to be Butturff’s undoing when he missed a seven pin in the second frame. As it turned out, he wouldn’t need to attempt a spare again in the match, throwing the next nine strikes to seal the win against Svensson who couldn’t mount a challenge to Butturff’s strike barrage. Butturff joined Hall of Famers Earl Anthony, Johnny Petraglia and Walter Ray Williams Jr. as the only players to earn a top seed for the stepladder finals in three consecutive PBA Tour telecasts. Had he lost, he would have become the first player to lose three consecutive tournaments from the top qualifier position. Butturff missed two easy spares in his loss to Bill O’Neill in the Hall of Fame Classic title match which ended up costing him the win. “I knew I would break through with a win sooner or later because I’ve had experience winning out here (on tour),” Butturff added. “I feel like I’m in good company when you think of the greats in the game who were in a similar position that have had their share of second-place finishes. “I will say that I think after all I’ve been through recently, this is probably my most satisfying win so far,” he added. Svensson, 23, who qualified third for the finals and was trying for his eighth tour title, advanced to the championship match by beating No. 2 qualifier Patrick Girard of Canada, 239-218, in the semifinal. Girard was trying for his first PBA Tour title and to become only the third Canadian to win on tour. In the opening stepladder match, No. 4 qualifier seven-time tour winner Dom Barrett of England beat No. 5 qualifier two-time Tour winner Tom Daugherty of Riverview, Fla., 245-162, to advance to the second match against Svensson. Svensson then beat Barrett in the second match, 267-231, to advance to the semifinal. The next stop for the PBA Tour will be the PBA Lubbock Sports Open Jan. 22-27 at South Plains Lanes. The finals will be televised live by FS1 at 3 p.m. ET on Sunday, Jan. 27. The taped PBA Mark Roth-Holman Doubles Championship from the FireLake Bowling Center will be televised Jan. 20 at 1 p.m. ET on FS1. 1, Jakob Butturff, Tempe, Ariz., $25,000. 2, Jesper Svensson, Sweden, $13,000. 3, Patrick Girard, Canada, $9,000. 4, Dom Barrett, England, $7,000. 5, Tom Daugherty, Riverview, Fla., $6,000. Match One: Barrett def. Daugherty, 245-162. Match Two: Svensson def. Barrett, 267-231. Semifinal Match: Svensson def. Girard, 239-218. Championship: Butturff def. Svensson, 267-201.